Summer is winding down. The garden is bountiful, the harvest is prolific…and there is so much to do. STOP! Okay, I think we both need to take a deep breath. IN…and…OUT. Woah! I have to admit, this summer my garden chores seem to have been relegated to just more items on my never-ending to do list. More things I need to “get done” as quickly as possible before moving on to the next. Can you relate? My guess is that you can. Our fast-paced ever-connected world has trained our brains to think this way, to prioritize multitasking, productivity, and busyness over mindfulness and enjoyment. Don’t get me wrong, I love eating organic, fresh vegetables; but if my garden is just a means to an end then I’d rather just go to my local food coop. We’re here for the journey and we should take time to enjoy it - and teach our kids to do the same. A big part of what gardens teach us is to just be. To observe. To sit in stillness and enjoyment of all that nature has to offer. When our garden becomes just another item on our to do list, we lose that. Let’s honor our gardens and ourselves with some quiet time. I have been the parent volunteer garden coordinator at my kids’ school for the last five years. That first year, parents and fourth grade teachers sat down together in true garden team style and brainstormed plans for the garden. We tried a couple of different approaches, but then landed on a system that really seemed to work and take hold. Three years ago, we used the same approach to add on a third grade garden area. Last year was the first year I felt we had kind of found our groove. The students, teachers and parent volunteers had the process down. Due to a number of different reasons, this year 4 of our 6 fourth grade teachers are new to our school and 4 of our 7 third grade teachers are new to third grade. All of the teachers that were part of our original garden committee have either retired or moved to new schools. I am happy to say that many of our dedicated parent garden volunteers are back for another year though (and in fact we had a few dedicated families and Scouts who bravely tackled the weeds in the Texas heat to get everything ready for the first day of school - it was amazing! I was so happy I almost cried! ), but with 5 years under our belt, we are pretty much re-booting on the teacher side. This summer our school was under construction. Taking inventory the first week the school opened back up, one of the shelves for the grow lights had disappeared along with our timer and power strip, the compost bin had been emptied and the water valve had been broken. I admit I was a bit discouraged by my first trip out to the school this year. I am happy to report that by the first day of school the grow light shelf reappeared and our wonderful school office administrator arranged to get the water fixed. What a motivation boost it was to have both of these things happen so quickly! A new fence has been put up around the school. Please know I have no complaints about this as it is meant to add safety to the building, but it does mean we will need to rethink weekend and break watering schedules and probably also planting schedules too. It is yet to be determined how we will be able to access the site when the school is not open, but I am sure we will figure something out. Our school garden is the first time many of our students ever see how fruits and vegetables are grown. Our school garden has inspired a number of homes gardens resulting in more families growing their own fresh food and decreasing kids screen time while increasing their experiences in nature. Our school garden may be the only gardening opportunity for many of our students until they are adults. So is it going to be a challenging year? Likely, yes. But, I can already feel the support gathering from parents and administrators. Also, I am excited about the opportunity to work with the new teachers and think it is a great time to evaluate the garden and how we use it. I know it is going to take a little bit of extra energy and enthusiasm to get things moving this year and I am going to be honest with you, even with 20 + years of youth gardening experience under my belt, the task seems a bit daunting. But, is it worth it? Hands down yes. At KidsGardening it is our goal to try and provide the know-how and inspiration teachers and parents need to grow new and keep existing garden programs going. We know first hand it isn’t easy, but we want you to know it is worth it. 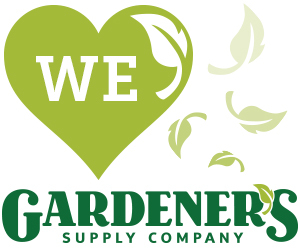 We want gardening educators every where to know how much we appreciate and support their efforts and that their blood, sweat and tears are making a difference. A school garden is not a curriculum in a box, it is a living lab and an engaging tool that provides students with a connection to nature and our food system and our environment that lasts a life time. Do you agree that it’s worth it? Do you want to help us inspire and motivate new and current garden educators? If so, please consider giving to our Back to School Gardens Campaign. The money will go to support our foundational programs including our monthly Kids Garden News, the development of our online resources (lesson plans, garden activities, how-to articles and garden guides), creation of new curriculum materials (like our most recent Digging into Soil Guide) and our grant programs like our Youth Garden Grant that has been providing seed money and supplies to youth gardens since 1982. Our goal is to raise $8,000. We need your help to keep doing what we do! Visit Back to School Gardens to learn more.